Create ringtones on Audiko.net! 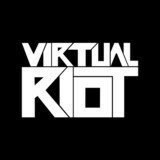 Just download a free virtual riot ringtones for your iPhone or mobile. Specify your favorite passage from your favorite song - Virtual Riot - Wait what?, Virtual Riot - Futurepanic, Virtual Riot feat. GLaDOS - Renegade A.I., or any other track. Depending on a phone model, you can gain your tune both in the MP3 and m4a formats, supported by both mobile phones and iPhones. Just select a track, and choose free virtual riot ringtones download option. Virtual Riot - Wait what? Virtual Riot feat. GLaDOS - Renegade A.I.